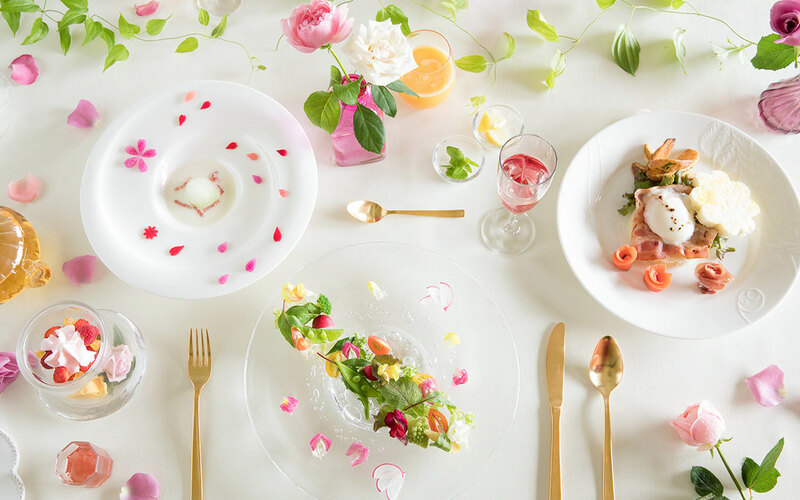 The spring event [Blossoming Tomamu] will be held at Hoshino Resort Tomamu starting from its Green Season's opening on April 28, 2018. Please enjoy your stay surrounded by flowers at the [Blossoming Welcome Court], [Blossoming Breakfast], and [Blossoming Sweets Party] where you will see the art of flower petals everywhere. * These are subject to changes according to weather or other conditions. 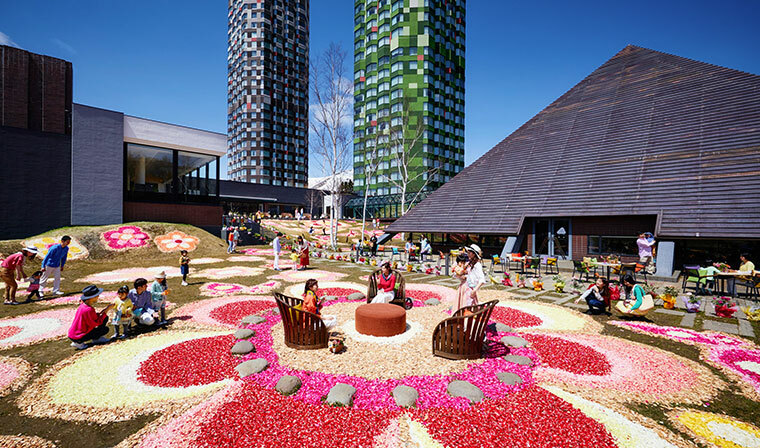 The courtyard of about 700m², which is connected to Tomamu The Tower's lobby, will be covered with patterns of flower petals. 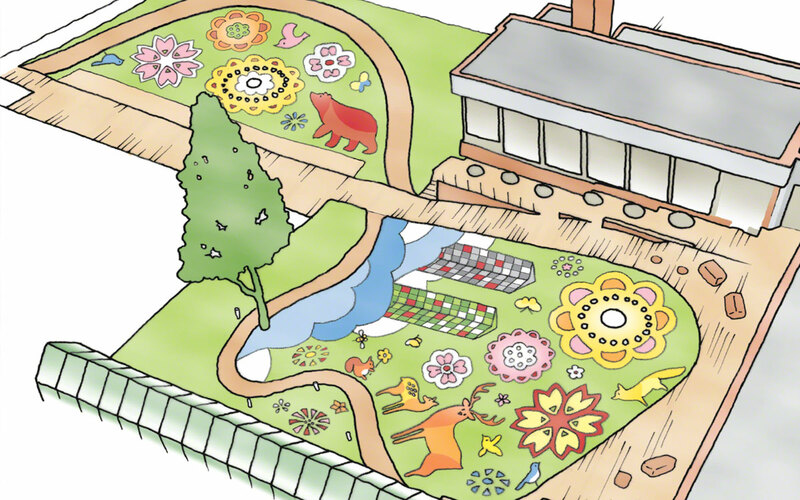 This year, besides the shapes of flowers, we will also be adding the scenery from Tomamu's symbolic Unkai Terrace, and the Yezo deer and brown bear that are familiar to the Hokkaido locals. * Even day-return guests are welcome to use. * The image shows the 2018 design concept. Please enjoy the sweets and drinks while admiring at the fine scenery across the Blossoming Welcome Court. 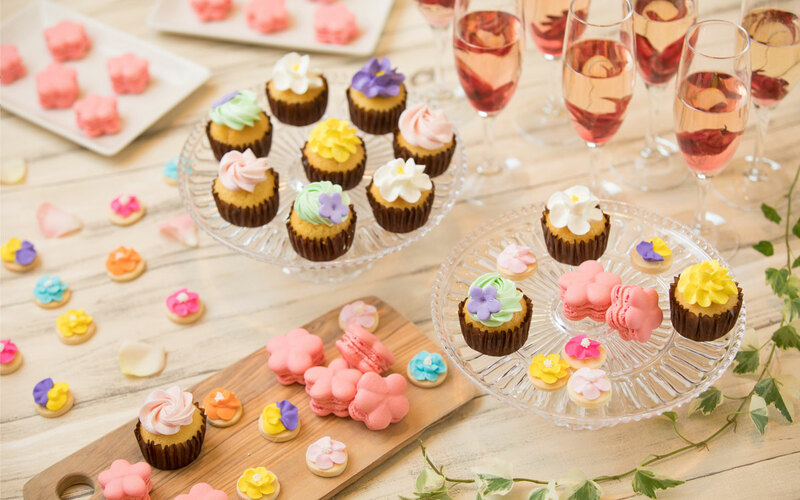 We will be offering some flower-shaped cupcakes and macarons, and also "Flower Sparkling Wine" with petals in them. You may also enjoy live music like violin performance during evening with a beautiful bonfire. This year we are introducing a 2 groups per day limited breakfast to guests staying at the Blossoming Suite Room exclusively. Please be indulged in the flowery scenery at the Blossoming Welcome Court, while enjoying the beauty, taste, and aroma of the flowers with all kinds of delicacies like the colorful produce, appetizers with edible flowers, and yogurt with rose jam. * For guests staying at the Blossoming Suite Room. * The menu content and ingredients are partially subject to change according to stocks. We offer these 2 limited special rooms per day only during the period when blossoming aroma is all around the area. 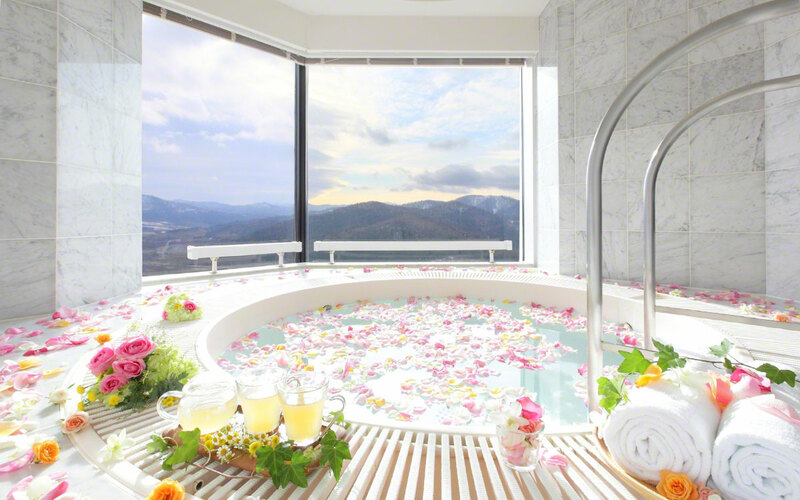 Please feel free to relax on the bed decorated with petals, or in the jet bath tub with floating petals. * [Super Suite Room] is a special room equipped with jet bath tub and usually not available for regular booking. Please seize this opportunity to experience it.